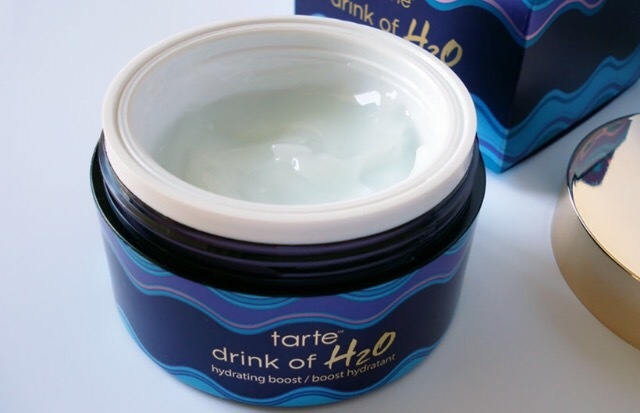 I received a sample of Tarte Rainforest of the Sea Drink of H2O Hydrating Boost Moisturizer during a Sephora trip. This moisturizer is a lightweight gel that is water based. It hydrates the skin with hyaluronic acid and Tarte’s exclusive antioxidant complex. The container features a metallic gold cover. Tarte’s Rainforest of the Sea products come in whimsical packages. The packages feature blue, purple, and aqua designs. This design is fun and pleasing to the eye. Each sample-sized jar is lightweight. This moisturizer is a cooling gel. It absorbs into the skin without leaving a greasy feeling. The gel has a thick texture. When I first tested this product, I was unsure of how it would feel on my skin. When I began using the moisturizer it felt mildly sticky . Once the product adjusts to your skin type this feeling disappears. To my surprise, it did not leave a residue and dried within a second. I enjoy the light lavender scent. 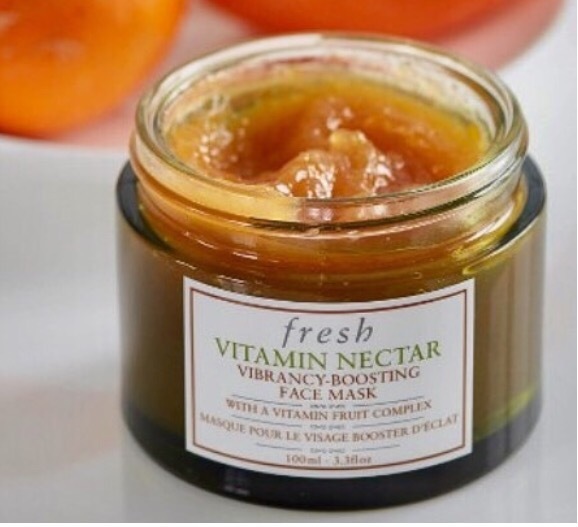 It offers a light hydration to prime the skin for makeup. The moisturizer contains water and sea-salt extracts to replenish moisture in the skin. It does not contain parabens. It is also hyperallergenic. Apply to cleansed skin 1-2 times per day. I apply it once in the morning. It is also suitable to use in the morning and night. My skin is drier. I like to use it twice per day to replenish lost moisture. The full-sized jar retails for $47 at Sephora. This moisturizer is also available as a sample. Achieving deep sleep is beneficial for overall health, wellness, and beauty. Healhy sleep habits make a huge difference to your overall quality of life. A consistent schedule involves going to sleep and waking at the same time each night/day. This helps regulate your body’s internal clock. It also may help you fall asleep and stay sleeping for the night. The typical lifespan of a mattress is about 10 years. You should ensure your mattress and pillow are comfortable and supportive. You should turn off all electronic devices about 30 minutes before bed. The glow emitted from bright screens can disrupt sleep. If you have followed my blog for a while, you will remember when I wrote this post last fall. I toyed around with the idea of expanding upon the post. I share my story hoping that it will let you get to know me better. I write this post to inspire. My name is Erin Angela. I’m a blogger from Canada. I have a physical disability, called Cerebral Palsy (CP). 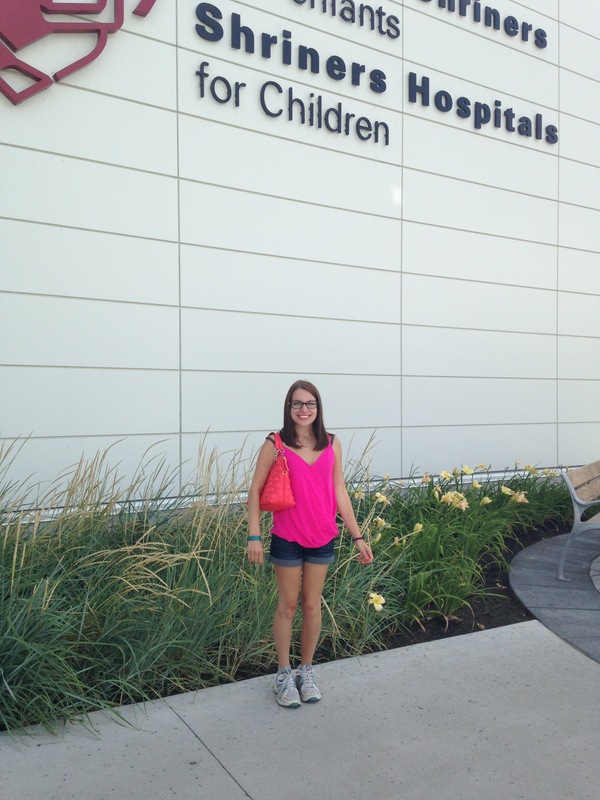 CP is a movement disorder that results from brain damage. My diagnosis came at birth. Despite being told I would likely never walk or talk, I thrived. I am now in university, studying social work. Beauty is more than skin deep. Inner beauty radiates and shines. My disability gifted me with negative and positive views of beauty. Once I entered my teenage years, my scars and imperfections were a source of displeasure. It took time to accept my surgical scars. I slowly grew to love them. I gained true appreciation for them. On the other end of the beauty spectrum, I learned to recognize beauty in the most unlikely of places. I learned to recognize my inner beauty. I learned to recognize my uniqueness. How do you face life challenges? The product is packed into a heavy glass jar. I like the removable insert that sits on top of the product, it keeps the mask fresher. One issue I encountered with this packaging is the cover. It takes some twisting and turning to remove, which is not a quick process once hands are wet. The size is ideal. At 100 ml, this is a lot of product. Once the jar is opened, you are greeted with a refreshing citrus scent. The mask itself is textured like a gel. I initially thought this to be a thick texture. Once applied to the face and mixed with water, the mask thins. It contains crystals of citrus fruit, which do not irritate the skin. It is light orange in colour. After the first use, I noticed my skin felt softer. My skin appeared more radiant and bright. Apply the mask to clean, damp skin. I rub it into my skin in a circular motion. Let the mask sit for 10 minutes and rinse with warm water. I use this mask 1-2 times per week. This mask retails for $80 at Sephora. It is also available in a sample-size. Have you tried any Fresh Beauty products before? Natural oils and ointments are useful for beauty. Coconut oil is an edible (yes, edible!) oil extracted from the kernals of a coconut. This oil has a surprising number of beauty benefits. Many hair conditioners contain coconut oil. This ingredient prevents protein loss and it penetrates hair better than other oils. If your conditioner does not contain coconut oil, apply the liquid to your hair, comb it through, and twist hair into a bun. Place a soft towel over your head. Rinse as usual in the morning. Coconut is a perfect lip balm, as it is semi-solid at room temperature. To create a lip balm with it, pack it into a miniature jar and smooth over lips. Mix half a cup of coconut oil with a handful of coarse salt (or sugar!) This creates an exfoliator. The oil gives the scrub a moisturizing effect. To create a DIY deodorant, mix coconut oil with arrowroot powder, cornstarch, baking soda and a scented oil. Apply a pinch of oil to the ends of your hair. This replenishes moisture to dry, damaged ends. Coconut oil contains beneficial fats, which helps skin heal faster after a burn or injury. Use the oil on its own to create a simple, effective makeup remover. Dab a small amount on a cotton pad and wipe on skin until clean. Rinse the skin after applying. Apply to cuticles twice a day to soften dry or chapped skin. Apply to the skin before shaving to prevent irritation. Coconut oil contains a unique fat composition. Combined with its natural antioxidant properties, the oil moisturizes and prevents skin irritation. 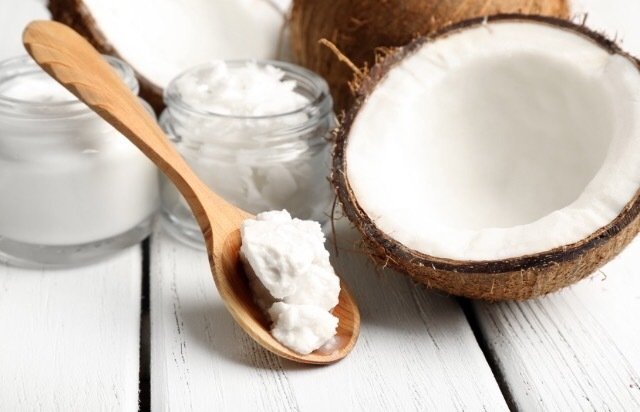 Have you used coconut oil as a beauty item before? If I am pressed for time, I skip a detailed facial cleansing. I wash my face with Dove soap. The moisturizing ingredients leave my skin soft and refreshed. I rinse my face, press it into a warm towel to seal my pores, and follow with moisturizer. Because I do not wear foundation when pressed for time, I forgo setting powder. I highlight underneath my eyes using concealer. I use it to spot-treat any blemishes or imperfections. I apply BECCA’s Skin Perfector to my cheekbones and highlight my specific areas of my skin. When I forgo eyeshadow, Kat Von D’s Tattoo Liner helps me achieve a full-makeup eye look. I finish my eyes with two coats of mascara. I tie my look together with a red lipstick. 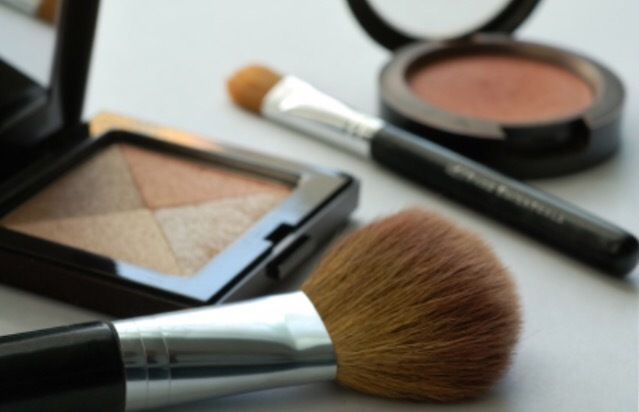 Do you have a 5-minute makeup routine? If so, what does it look like? Bite Beauty released a trio of agave-based lip products. Agave is nectar derived from the agave plant. This product is infused with both agave and sugar crystals. I searched for a lip scrub to help banish winter dryness in my lips. I picked up the Agave lip scrub based on recommendations. The scrub comes in a clear glass container with a matte black, twistable lid. The lid is embossed with BITE’s signature stamp. It is a heavier container. I like the simplicity of this packaging. It is clean and elegant. I adore the texture of Bite’s lip scrub. The combination of brown sugar and pineapple enzyme give the scrub a grainy texture. It tastes like brown sugar. It foams lightly once applied to the lips, and rinses clear. Apply the scrub to the lips in a circular motion. Let it sit for a few seconds, then rinse. I use it 4-5 times per week as part of my makeup routine. 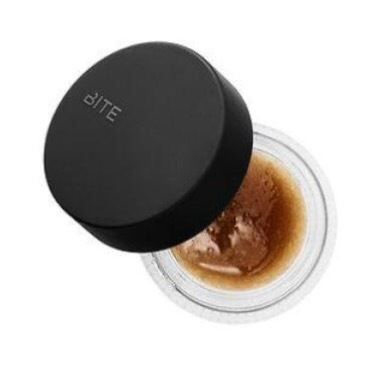 Bite Beauty’s Agave Lip Scrub offers a convenient method to keep lips soft. It is a great base for lipstick or gloss. The agave formula is also available as a lip balm or mask. This lip scrub retails for $18 at Sephora. Have you tried BITE’s Agave lip scrub?